Update: The Guardian 11th July - "Lords Reform: Cameron plans to offer Clegg watered-down deal"
On Tuesday 10th July, with Labour support, the House of Lords Reform Bill passed its Second Reading by 462 votes to 124 - The Guardian 11th July - though 91 Conservative MPs voted against it. 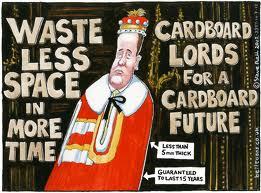 House of Lords Reform Bill - as introduced to the House of Commons. It was widely expected that many Conservative MPs would vote against a House of Commons motion designed to limit to just 10 days the time for debating the House of Lords Reform Bill . In the event, this so-called "timetabling motion" was withdrawn though a possibility remains that there may be a similar motion in the autumn. By that time the coalition will perhaps have had the whips working harder on various "rebel" MPs. 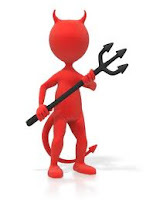 The outcome is that the Bill will not be proceeding very far in the near future - see BBC 10th July - since Mr Speaker (John Bercow) told MPs that parliamentary rules mean that the Bill will not move on beyond second reading. The Bill remains "uncommitted" for the time being. 1. Timescale - A Parliamentary Committee considered the draft Bill and produced a report - (Joint Committee of the Draft House of Lords Reform Bill - 26th March 2012). Questions relating to the Electoral system, Size, Voting System and Constituencies are discussed in the report - here. 2. Size -The alteration in the size of the House will take a considerable time to achieve. Given that Parliaments are intended to last for 5 years (Fixed-Term Parliaments Act) the plan is to reduce the numbers in the Lords over 3 elections - (basically 2015, 2020 and 2025). At first blush, this seems to be a lengthy timescale to achieve the full reform but the Government considers a period of transition to be important so that the culture of the present House of Lords may be transferred to the reformed house. Having current members working alongside new members would "help the reformed House of Lords work effectively during this period". On this see the Committee Report (here). By the end of this process, the Lords will comprise 360 elected members, 90 appointed members, up to 12 Lords Spiritual, and any ministerial members. the principle that the House of Lords will consider Government Bills in reasonable time. Clause 2 deliberately fails to refer to the conventions since there were concerns that if they were mentioned in the bill they might become subject to "judicial intervention in the most highly-politicised circumstances of all, a dispute over the conduct of business between the two Houses." The committee report considered that this would be "a constitutional disaster." 4. Membership of the Lords - there will be elected members, appointed members, Lords Spiritual and Ministerial Members. a) Elected members - The method of election would be (a) For Great Britain (i.e. England, Scotland and Wales) a Party List system - details are in Schedule 3 of the Bill and (b) for Northern Ireland, the Single Transferable Vote (STV) system. Essentially, these are the methods currently used for elections to the European Parliament. Elected members will have a 15 year term. This is profoundly undemocratic. Elected members ought to have to stand at every election in order to have their individual mandates renewed by the electorate.
" ... what worries me is the prospect of ending up with a party list system which, as we know from the experience of the European Parliament, has no legitimacy with the electorate, is not regarded as a way of electing people to represent their interests, and has been entirely discredited, regardless of the view one takes of the European Union as a whole. For that system of all systems to be chosen for the purpose of deciding membership of the upper House is totally incomprehensible to me, never mind entirely regrettable." b) The Appointments Commission - see Clause 11 and Schedule 5. The Commission will comprise 7 Commissioners appointed by the Queen though, in reality, the Prime Minister will choose names and recommend them to the Queen. Commissioners will enjoy a 10 year term of office. Ministers of the Crown may not be members of the Commission but there seems to be nothing to prevent recent former Ministers from being members. A Speaker's Committee - see Clause 12 and Schedule 6 - will have important functions including deciding the terms on which members of the Appointments Commission hold office. Clause 17 is of particular interest in that it sets out the criteria and procedure for selection. The Appointments Commission is to select persons for recommendation for appointment on the basis of fair and open competition. In doing so it must take account of - (a) the principle that, although past or present party political activity or affiliation does not necessarily preclude selection, the role of an appointed member is to make a contribution to the work of the House of Lords which is not a party political contribution, (b) the desirability of the appointed members collectively reflecting the diversity of the population of the United Kingdom and having a range of experience and expertise, (c) a person’s integrity and commitment to the principles of public life, (d) a person’s ability and willingness to contribute effectively to the work of the House of Lords, and (e) such other matters as the Appointments Commission considers appropriate. “The principles of public life” are the Nolan principles or such other similar principles as may be adopted by the Appointments Commission from time to time. The Appointments Commission must take whatever steps it considers necessary to ensure that a diverse range of persons is considered for recommendation. d) Lords Spiritual (Bishops) - there will be 5 "Named" Bishops (i.e. the two Church of England Archbishops and the Bishops of London, Durham and Winchester) and "Ordinary" Bishops. The number of "Ordinary Bishops" will eventually reduce to 7. The Church of England is the "established church" in England, with Her Majesty as its Supreme Governor and the fact of "establishment" is probably the reason for retention of any Bishops. There is little else to defend this element of the Bill which can have no real appeal to (a) other faiths and (b) the peoples of Scotland, Wales and Northern Ireland. The choice of who becomes an "Ordinary" Bishop is to be left to the Church of England. e) Ministerial members - Clause 24 - Persons may be appointed under this section as ministerial members of the House of Lords. Appointments are to be made by Her Majesty on the recommendation of the Prime Minister. A recommendation may be made only for the purpose of facilitating the performance by the recommended person of that person’s functions as a Minister of the Crown. Clauses 24(4) and 24(5) are particularly interesting - "An appointment may be made only at a time when there are fewer than 8 ministerial members who are Ministers of the Crown." Thus, there will be up to 8 Ministers in the Lords BUT there could be any number of former Ministers of the Crown since Clause 24(5) states - "A person appointed under this section is a ministerial member for the electoral period in which the appointment is made and the next 2 electoral periods ...."
This seems to allow a Prime Minister to make 8 Ministers each of whom will have a place for up to 15 years. Every so often some of them can lose their Ministerial office but still remain as a "Ministerial" member. Over a few years, there could be a considerable number of these members. To quote from a post in the Head of Legal blog - "This power of patronage could be very useful to a Prime Minister, and more than anything else in this Bill it makes a mockery of the democratic claims the government makes for it." The Bill is highly controversial politically. For the debate in the Commons of Monday 9th July see Hansard. Further criticism of the Bill is that it takes no account of the proposals to hold an independence referendum in Scotland in 2014. The outcome of that is uncertain and may be either full independence (whatever that is to mean) or devolution-max. It seems to make little sense to bring in reforms which may have to be altered significantly in the event that Scotland were to opt for independence. On this, please see the interesting posts on Brian Barder's blog- here and here. There is no provision to put the reform to the people by way of a referendum. Of course, the principal political parties claim to have an electoral mandate for reform deriving from their various election manifestos. However, we have here a major reform to Parliament - the institution which is at the centre of the UK's democracy. The proposal ought to be specifically endorsed by the electorate. Mr John Redwood MP said - "I entirely agree with the Deputy Prime Minister that the people need to be part of the process and feel that Parliament belongs to them, so will he give them a vote on his proposals?" Nick Clegg, the Deputy Prime Minister replied: "I think that a referendum is not justified in this instance, for the following reasons: first, unlike other issues that are a source of great disagreement here, all three main parties are committed to delivering House of Lords reform, by way of the their own manifestos, which they put to the British people at the last election, the one before that, and the one before that; secondly, it would be very expensive—£80 million—for something on which we are all supposed to agree; and thirdly, it would detract attention from the much more important referendum taking place in this Parliament: the referendum on the future of the United Kingdom." (Aside: A referendum on the future of the UK in which only the Scottish people will have a say). "The Bill is a puny measure. It is unwelcome and it will do far more harm than good to our constitutional structures and to the good government of this country. I say that because, essentially, two things will happen. First, the Bill will lead to the departure—the expulsion—of the vast majority of Cross Bencher and specialist Members of the upper House. We have been extremely well served by several hundred of our most distinguished citizens—industrialists, trade unionists, academics, diplomats, churchmen of many faiths, leading members of the armed forces—all of whom have carried out the task of revision, and only a small fraction of them can remain under these provisions. What are we to replace them by? Essentially, it will be a sham democratic Chamber, consisting overwhelmingly of Members who would rather be in this Chamber and who will be elected under a party list system that is an insult to the electorate." Rifkind added - " ..... I say specifically to the Deputy Prime Minister, .... , that if he wants to eliminate the defect he rightly referred to of the continuing presence of hereditary peers in the House of Lords, that can be done very easily by means of a simple legislative measure. If the right hon. Gentleman wants to get rid of the extraordinary nonsense that we have almost 1,000 peers, that can be done by a compulsory retirement age. If he wants an opportunity to deal with the other anomalies in the House of Lords, he does not need to go down this road. The only argument for going down this road is if he believes in a democratic upper House which, by its very nature, will then share primacy with this House of Commons. Let him, if he wants that, admit that, rather than try to conceal that fact behind words that do not carry conviction." Viewed overall, the Bill is an unsatisfactory and muddled compromise. It would be far better either to leave matters entirely alone or to proceed with more limited reforms such as removal of the remaining hereditary peers. 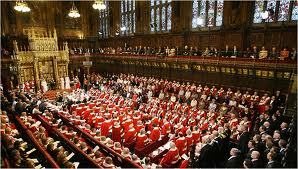 The House of Lords Act 1999 retained 90 hereditary peers.plus the Earl Marshal and the Lord Great Chamberlain. (For an interesting view on this see Lords of the Blog - How many hereditary peers sit in Parliament). It would be possible to remove the hereditary peers and either not replace them or replace them with a number of elected members. Other blogs commenting on the Bill include Head of Legal - We must say no to this bad Lords reform" and Of Interest to Lawyers.